You know that first impressions always count and Stacy Adams is in the shoe business of making a positive first impression happen when you dress up. These Stacy Adams shoes features a eel pattern printed leather uppers with a loafer style to make perfect harmony in creating a classy looking dress shoe that is ready for the life you lead. 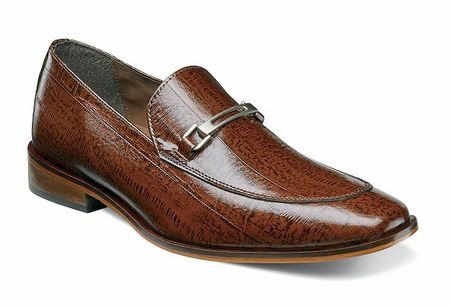 What makes this style special is way the fact that these are really loafers that have eel texture leather and balances out giving a very tempting Italian demeanor.